We love stickers of all shapes and styles, which is why we are going to give you some ways that you can make your own stickers at home. 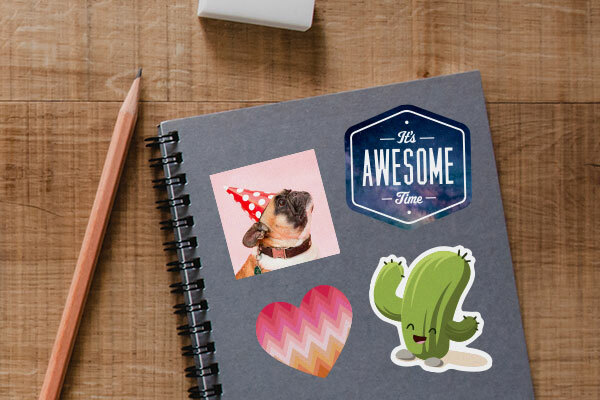 Homemade stickers are a fun activity that the whole family can get involved in, they are also a great way to give a personal touch to a crafty project. 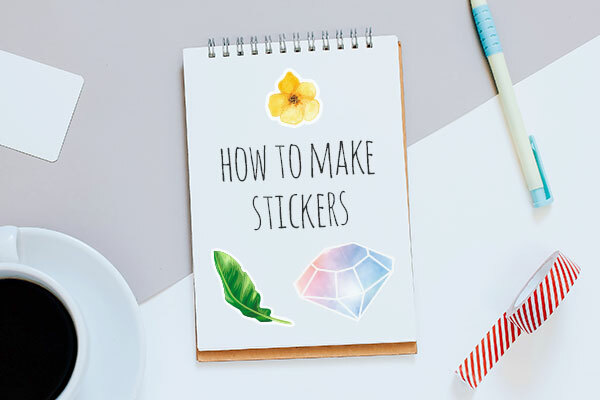 Here are two popular methods for creating your own homemade stickers. • A few drops of vanilla (for flavor). For this process, you can use whichever materials you want in terms of design, just be sure your drawing utensil is not washable. Draw your design onto a piece of paper and then cut the image out with a pair of scissors. Once you have your image cut out you will need to make your glue. Mix your Gelatin, water, sugar, and vanilla together in a bowl. Store it in an airtight container in your refrigerator to allow the glue to gel overnight. When you need to liquify it for use, just submerge the container in hot water. After you have thawed your glue, take a small paintbrush and lightly paint the back of your paper and let it dry completely. After that, you can just lick the back of your sticker, as if it were a stamp, and adhere it to your surface of choice. For this method, you will need to cut out an image that has been printed using water-resistant ink. 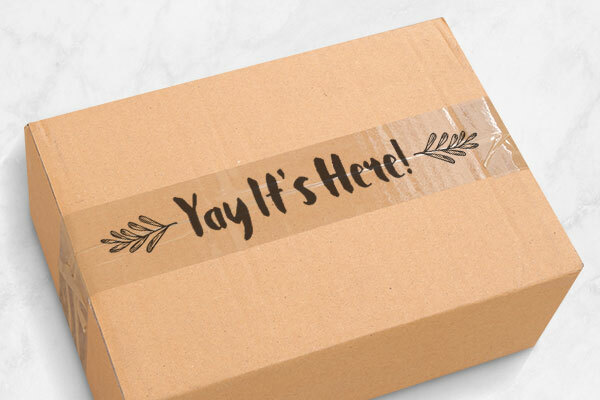 After you have cut out your image you will then place a piece of packing tape over the image (note: the image should be limited to the size of the packing tape) and press down so that the tape adheres. Next, rub the front of the sticker using a coin so the tape binds to the ink until the adhesive and ink have merged. After the ink and tape have become one, run it under warm water with the paper side facing the stream. The paper should fall apart and dissolve completely but the ink will remain. When the paper is all gone, let the sticker dry completely so that the tape adhesive becomes sticky again. Once it is dry it is ready to be affixed to your surface. The result of this method would be very similar to Custom Packing Tape. Of course, if you just want to design a Custom Sticker and don’t have the time or resources to make it yourself, we can make them for you. Simply select the type of sticker you want (Roll Labels, Die-Cut Single, &c.), upload your design into our Sticker Editor and then finalize your order. At StickerYou we can help make your ideas stick; any shape, any size, any quantity.